Passionate about gin? Looking for a night out with a dash of glamour where you can learn more about artisan distilleries and try their latest flavours? Us too, which is why we were magnetically drawn to Fizzy Moon’s Thursday night Gin Club in Leamington Spa. This is Fizzy’s second monthly Gin Club, and already word has spread like wildfire judging by the turnout. Each month the bar invites in a different artisan gin distiller. Tonight, it was the turn of award-winning Whitley Neill. This Oldbury based family distillery, which has its headquarters in Liverpool, was first established 105 years ago and is now run by eighth generation family member, Johnny Neill. So, what’s included in your £20 ticket? You can choose from a complimentary Gin cocktail, an Aloe & Cucumber Gin; or a regular G&T. 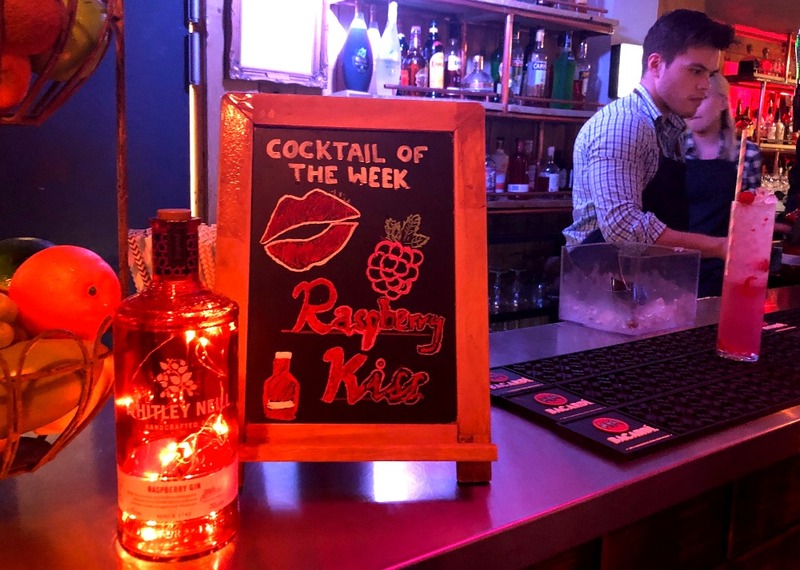 The cocktail of choice was a tantalizingly titled, Raspberry Kiss, made with Whitley Neill’s Raspberry gin. 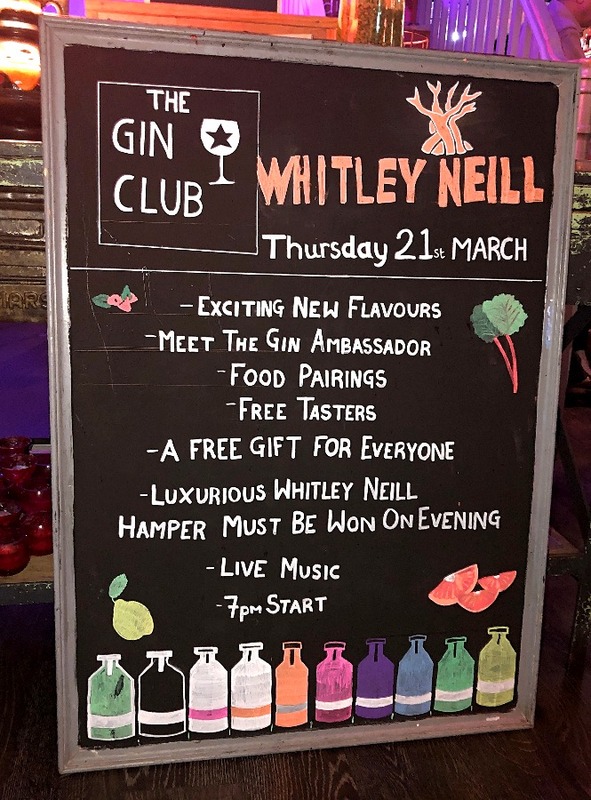 There’s food too, a main from the menu or 3 Tapas dishes from the menu, a super-knowledgeable Gin Ambassador who visits every table with different brand gins for you to taste and a gift, plus the chance to win a luxe Whitley Neill Gin hamper. 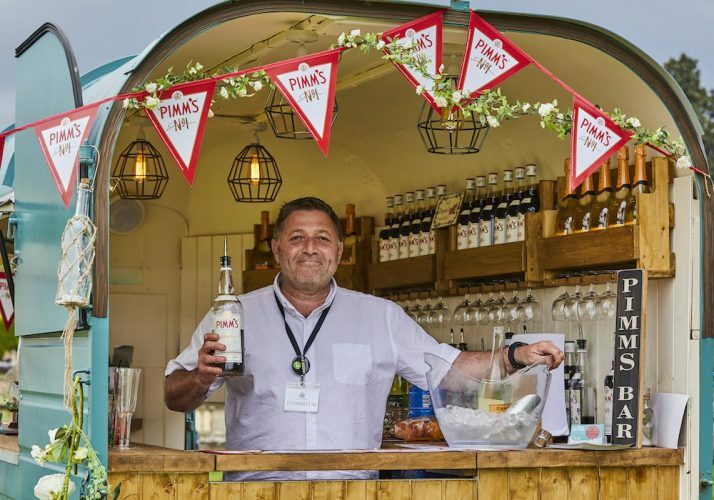 Upcoming Gin Clubs will feature Andalusian gin distiller Puerto De Indias, based in Seville (April 25), Devon’s Salcombe Gin (May 23), Chase Gin, made from homegrown produce on a Herefordshire farm (June 27) and Leicestershire gin, Burleighs (July 25), culminating in a Gin Festival on August 23, 24 and 25. Early on…it soon filled up! Laid-back, buzzy with a casual homely feel and super-friendly staff who go out of their way to assist. 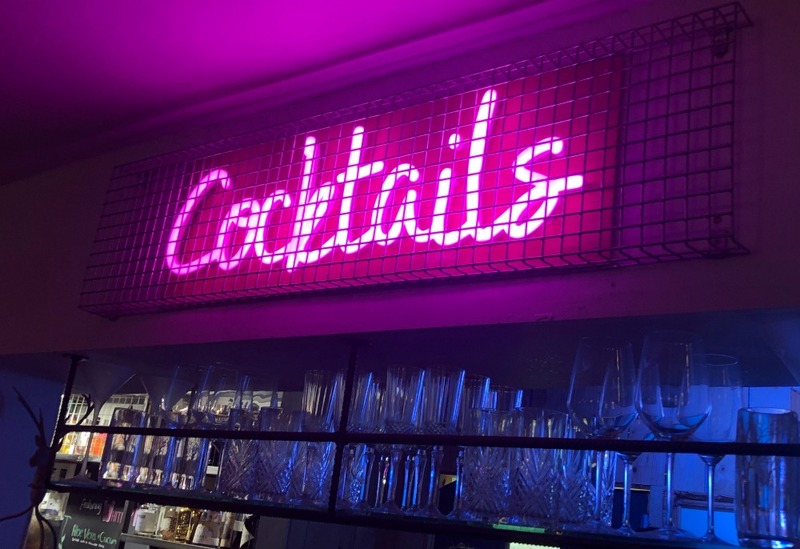 Pink neon signs, industrial touches, include a bicycle light feature hanging from the ceiling, exposed brick and more Instaworthy corners than you can shake a selfie stick at. 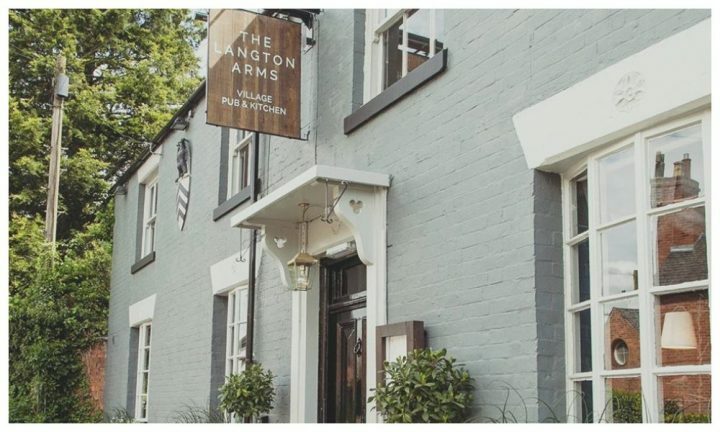 Whether you’re heading here with for pre-dinner cocktails or fancy drinks and a shimmy into the small hours, this lo-fi gin and cocktail bar is the place to be with regular live music and fun events, including a new Ladies Night and a special MOM G&T for all mums on Mother’s Day (book your table now!). Flattering lighting is so important to create the right ambiance and here it’s spot-on, with clusters of industrial chandeliers, retro lamps and neon signage. 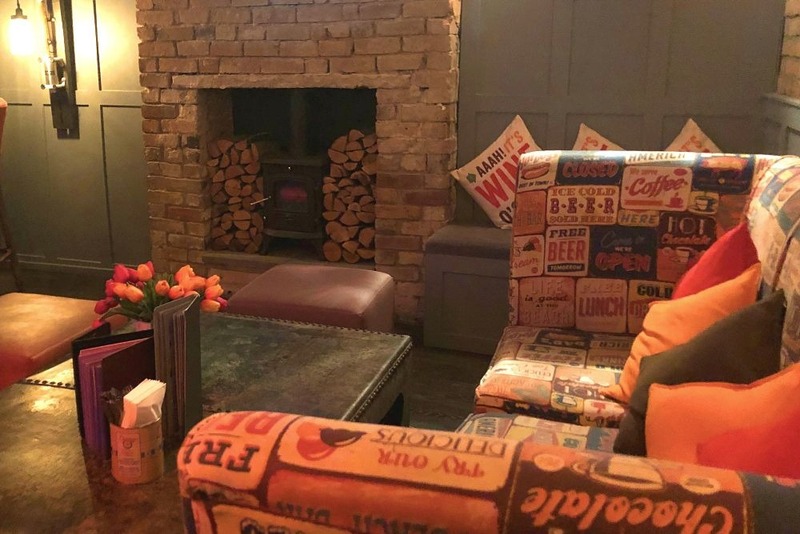 There are lots of sociable tables to gossip around and sofas. 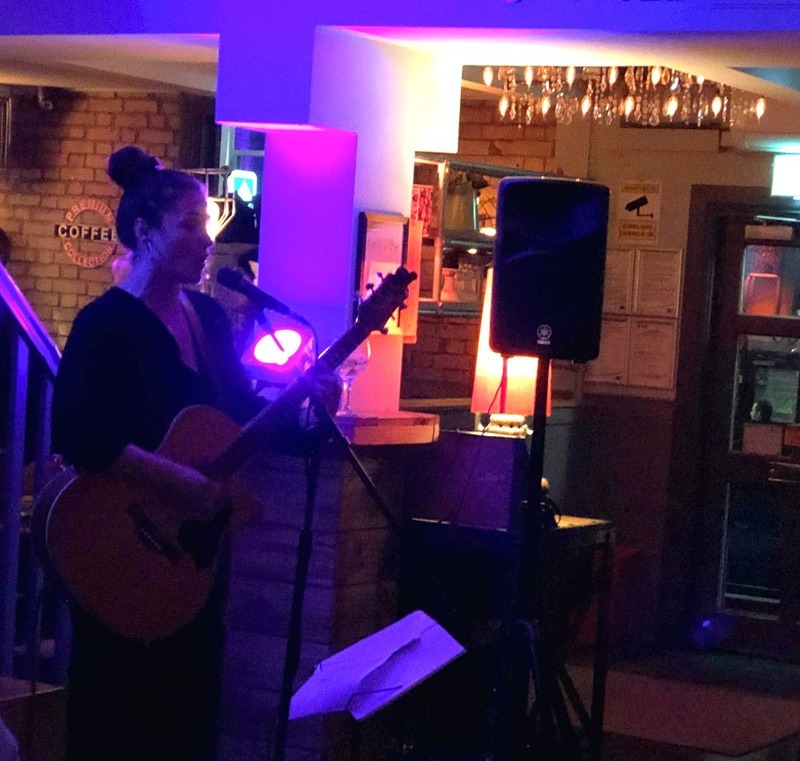 Multi-talented Leamington-based female vocalist and musician, Shanade, played a fantastic solo acoustic live set. Her playlist included jazzy, soulful and eclectic covers by Nirvana, Bob Marley and Paolo Nutini. 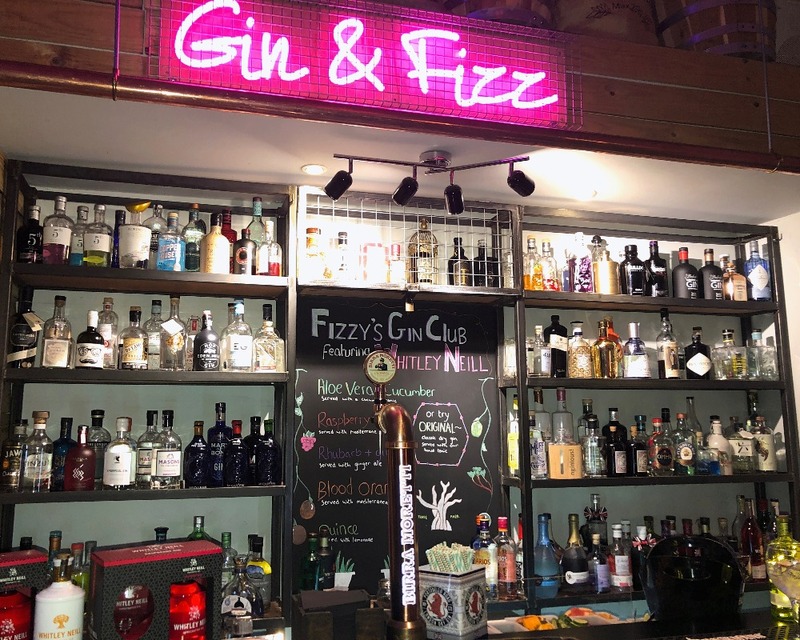 Included with your Gin Club ticket is a Main from Fizzy’s menu, such as Pan-Fried Halibut Fillet, Bangers & Mash or Double Chicken Wings and Chips. 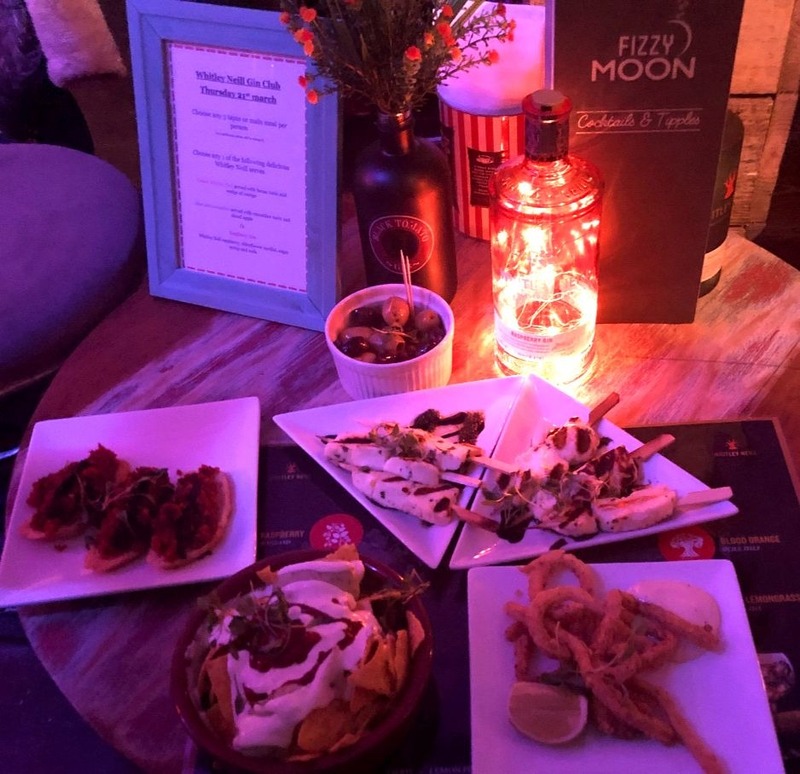 My husband and I instead went for three tasty tapas dishes including Halloumi Skewers, Chorizo Bruschetta, Olives, Tortilla Chips and Dips and Szechuan Pepper Calamari. Paired with gin, it was the perfect tea. 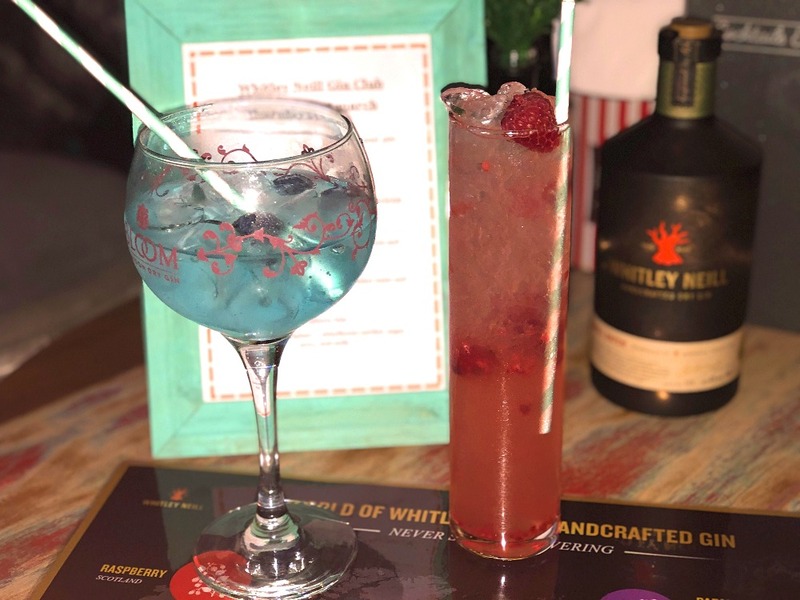 Whitley Neill is no shrinking violet when it comes to experimenting with flavours. 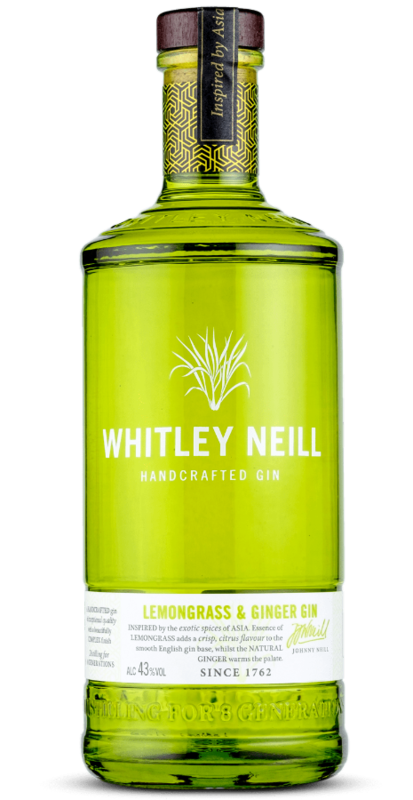 It currently has 10 handcrafted gins including the latest, Pink Grapefruit, sold in Asda, as well as Protea and Hibiscus, Parma Violet and Blood Orange. Everyone in Gin Club sampled the Lemongrass & Ginger, originally developed for the Asian market, paired with a basil tonic or a light tonic. A top tip: garnish with chilli, coriander and wrap layers of dried lemongrass around a straw for an even more authentic flavour. We also tried Quince Gin, made with Turkish quince, which works well with ice instead of dessert wine and would go well with a cheeseboard. Everyone’s heard of quince jelly. Our ambassador said a lot of women are blown away with it when paired with a low-calorie tonic, as it’s quite sweet. Although I actually preferred the Lemongrass & Ginger. Many of Johnny Neill’s gin flavours have a personal element. 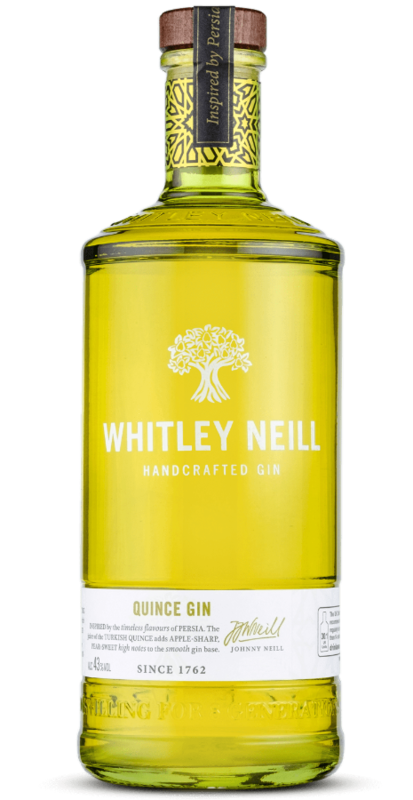 His award-winning original handcrafted gin features an exotic botanical, the Cape Gooseberry, sourced from South Africa, inspired by his wife’s roots. The Sicilian Blood Orange was inspired by the couple’s honeymoon in Sicily. Their most popular gin in the UK is Rhubarb & Ginger – great with ginger ale or natural tonic water. The gin industry as a whole has skyrocketed, with sales of the spirit in the UK increasing by a staggering 254% in the last 10 years, as more and more people under the age of 35 select the spirit as their top tipple. Good for: Gin fans obviously, girls’ nights out, fun date nights and getting the gang together to celebrate just about anything at this stylish and quirky hangout. A no brainer for a brilliant night out. 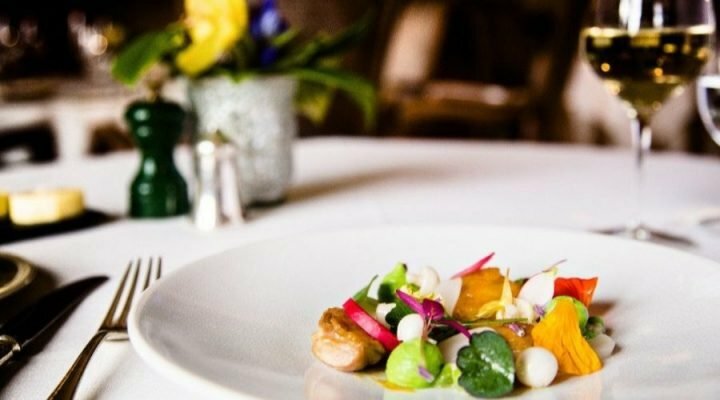 Not for: Those looking for a quiet bolthole, or a romantic uninterrupted meal. 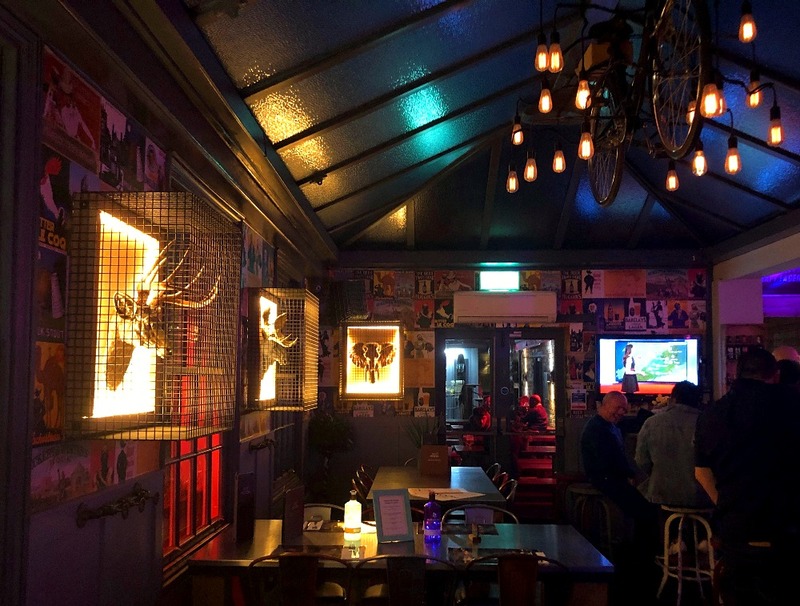 This is a lively bar and has a real buzz about it from the moment you step inside. ££: At £20pp per ticket, very good value for money. 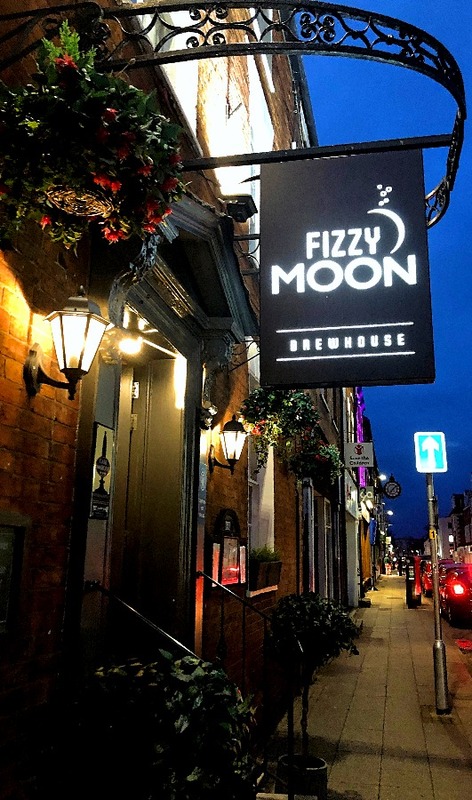 Fizzy Moon Brewhouse, 35 Regent Street, Leamington Spa, CV32 5EE, fizzymoonbrewhouse Tel: 01926 888715.